The College of Media and Entertainment kick off Black History Month with a film sponsored by the School of Journalism that focuses on African-American journalists throughout the nation’s history. 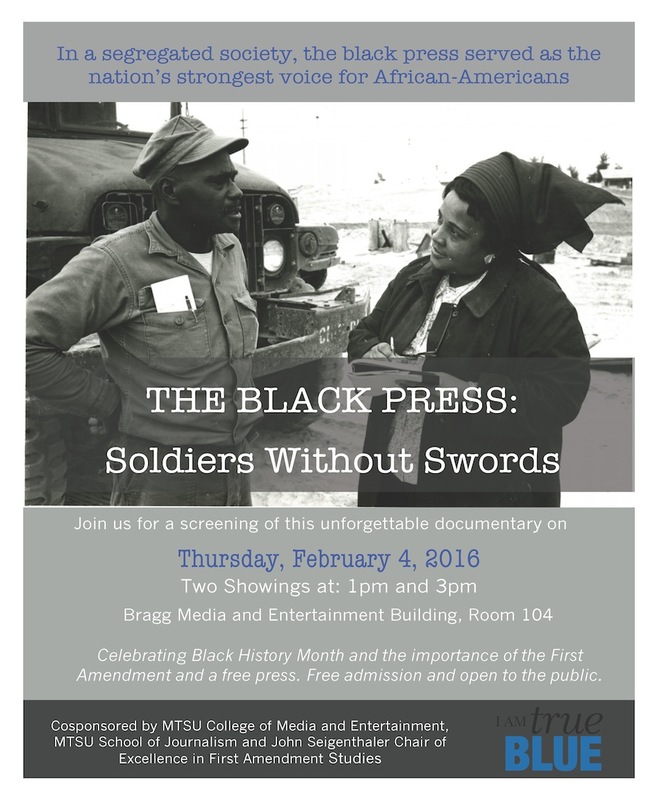 The Black Press: Soliders Without Swords is a documentary that explores the role the black press served in a segrated society as the nation’s strongest voice for African Americans. The film was the first of its kind to chronicle the history of the black press, including its central role in the construction of modern African-American identity. 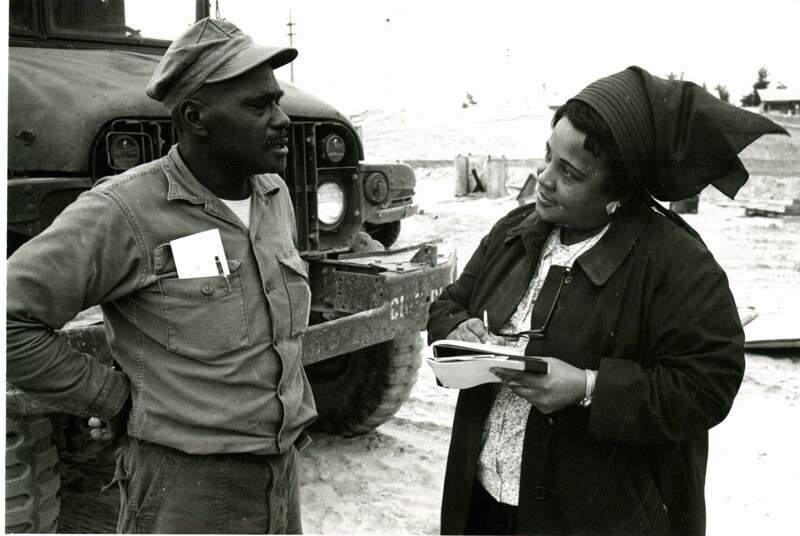 It recounts the largely forgotten stories of generations of black journalists who risked life and livelihood so African Americans could represent themselves in their own words and images. The project originally aired on PBS as part of its Black History Month programming and was also a 1999 Sundance Film Festival award winner. Two screenings will be offered on Thursday, Feb. 4, in Bragg Media and Entertainment Building Room 104 beginning at 1 p.m. and 3 p.m. Admission is free and open to the public. It is co-sponsored by the MTSU School of Journalism and the John Seigenthaler Chair of Excellence in First Amendment Studies, celebrating Black History Month and the importance of the First Amendment and a free press.